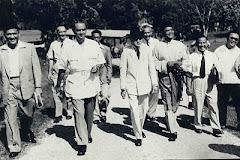 The Father Of UMNO ( Baru ). 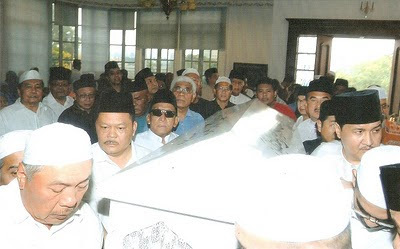 Tan Sri Datuk Seri Mohamed b Haji Rahmat passed away in his sleep on a Friday, 1 January 2010. He was a leader who had served the Nation unselfishly but was a gentleman grossly misunderstood by the people at large. 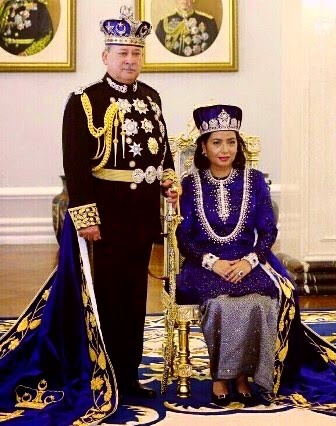 His incomparable loyalty to UMNO and his undying effort to resurrect a “dead” party has enabled the current UMNO leaders and Cabinet Ministers to enjoy the privileges and perks that come with their positions today. He was the Deputy Minister of Finance (1973) and Deputy Minister of Trade & Industry (1974). 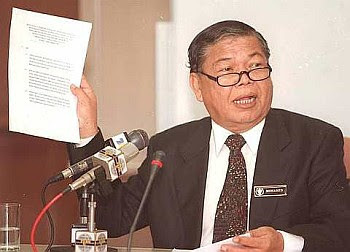 Later he was the Minister of Information twice from 1978 -1982 under Tun Hussein Onn and from 1987 – 1999 under Tun Dr Mahathir Mohamed. 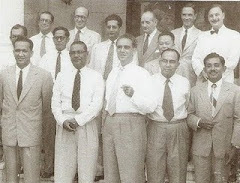 He was also Malaysian Ambassador to Indonesia for a spell between 1982-1984. 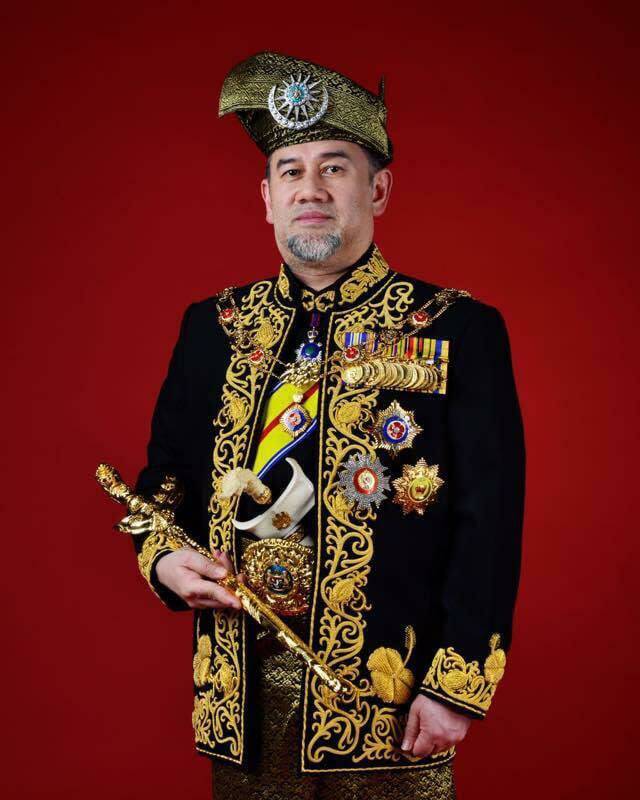 His most notable achievement and by far is the most valuable for UMNO was to almost single-handedly resurrect the party which was declared null and void in 1988 by the courts. He did it at a time when the Malays were split and the people were against UMNO with Dr Mahathir who was the President then. 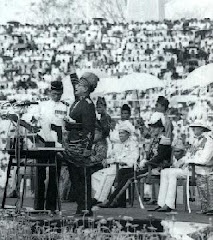 He created a theme called “ Setia ” encouraging the people to be loyal to the Government and its leaders. It was a huge success and because of it Dr Mahathir continued to rule for another 15 years before making the biggest blunder of his life, which is obvious and will remain unmentioned out of respect for this tribute to a special man who in his lifetime, had made UMNO a household name. In making Dr Mahathir popular again, Mohamed Rahmat incurred the wrath of many and was subject to slander and ridicule even while he was holding the position of Information Minister. He remained loyal to his leader and party till the very end. 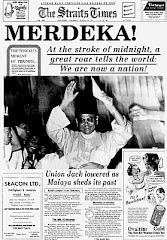 UMNO is where it is today post 1988 because of his hard work in breathing back life into it and fine management skills. The title of “ Father of UMNO (Baru )” should be appropriately bestowed upon him. 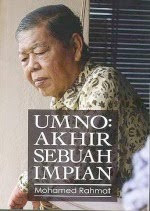 In October 2009, his book “ UMNO: Akhirnya Sebuah Impian ” was launched by the current Minister of Information, Datuk Seri Utama Dr Rais Yatim at The Equatorial, Kuala Lumpur. It is a must read for all UMNO members whenever they have the time to dismount from their high horses. 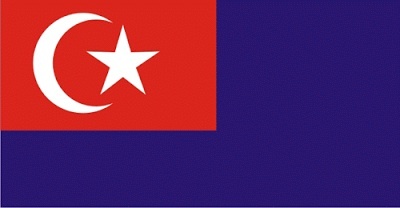 On behalf of a grateful party, and all UMNO members who have enjoyed the privilege of being in power administering this great Nation, The Patriot would like to express our most humble gratitude to the family of late Tan Sri Datuk Seri Mohamed B Haji Rahmat for his sterling services to the Party and Nation and our deepest sorrow and condolences for their shared loss. May Allah Bless His Soul And Place Him Amongst The Righteous. Al-Fatihah. al-Fatihah.May Allah rest his soul in peace and give his family the strength to get over this loss. Please pass my sincerest condolences to the bereaved family.May Almighty Allah reward and shower him with mercy. Insh'Allah I will convey your condolences to the family this evening. Beside 'Setia' if memory serves me right he introduced 'Semarak', whereby the leaders went nation wide to interact with the rakyat. You can never get a more loyal member in Umno and a dedicated worker in the goverment bench than him. May Allah Swt grant him peace and his family patience in overcoming their loss. Salaamualai Mohamed Rahmat. Indeed it was all bad news on New Year 2010 about the death of Mohamad Rahmat and one Danker (Jean Danker's father). In fact Mahathir owes him more than anyone else. He was loyal to Mahathir. And Mahathir rewards those loyalist with embassy jobs with ministerial status. 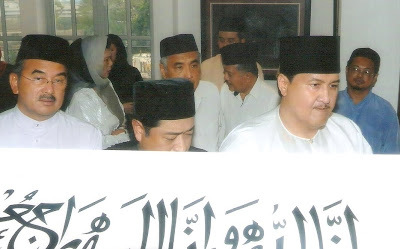 ( Treangganu MB Mohktar and Allahyarham Mohamad Rahmat ). Though he had a long service in politics,he did not leave behind any notable legacy worthy of mention. 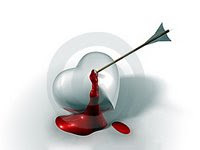 In 1990s, a company called HVD had much inroads in RTM.Today it is not in existence.Gone with the wind. He was affectionately known as Mat Bulat.He set the standards in disciplining local artiste on public appearance on RTM which they reluctantly complied. Amy Search had to have his long hair clipped by Toh Mat!He was'the Man' of Javanese community of entire Johore.They adored him as Jawa Pekat.From Parit Yani, Parit Sulong, Parit JONo, Ponorogo,Parit Asad to Parit Hamil. He will be dearly missed.